Tuesday is election day. Voters all over America are poised to choose their candidates for a host of federal and state positions. They will also vote on various ballot initiatives unique to their states. One of those initiatives in Oregon has to do with whether voters will overturn the state's sanctuary law, which has acted as an impediment to cooperation between federal immigration agents and police and sheriff's departments. In the run-up to the vote, it's been pretty much business as usual, which means that sheriffs all over the state have routinely released illegal alien criminals back into communities rather than honor detainers filed by Immigration and Customs Enforcement (ICE). But in a setback to sanctuary advocates, one of those releases resulted in the killing of an Oregon couple in the state capital by a drunk illegal alien towing a loaded horse trailer in what was presumably his employer's vehicle. Needless to say, the tragedy garnered a great deal of attention and adverse publicity. However briefly, it shone the harsh light of day on a stupid policy that puts Oregon communities at risk. It also led to at least half of the state's elected sheriffs publicly decrying the sanctuary policy. This was heartening, but one has to ask: Why only half of the sheriffs? What could the others possibly be thinking? Who benefits from sanctuary policies? Despite claims that "cooperating with ICE by exchanging information about arrested aliens or honoring detainers will diminish immigrants' willingness to come forward to report crimes", there is no credible empirical evidence to support the assertion that police-ICE cooperation erodes interactions between police and alien victims and witnesses. The suggestion defies common sense. Exactly who from immigrant communities is being put into the cages of police vehicles? Certainly not victims and witnesses. No, it's aliens who have been taken into custody for commission of crimes, and statistically it's a good bet that the victims of, and witnesses to, the crime(s) were other members of the immigrant community. So why would city, county, or state leaders think that it serves them well to send these criminals back to prey once again on those same immigrant communities? Isn't that where the trust of those communities is most likely to be quickly eroded? This assertion overlooks the fact that there are any number of ways in which aliens — even illegal aliens — who are witnesses to, or victims of, crimes may receive benefits under the immigration law. But what is one of the key ingredients to ensuring that they are granted such benefits when entitled? Cooperation between police and prosecutors on one hand, and federal immigration officials on the other. 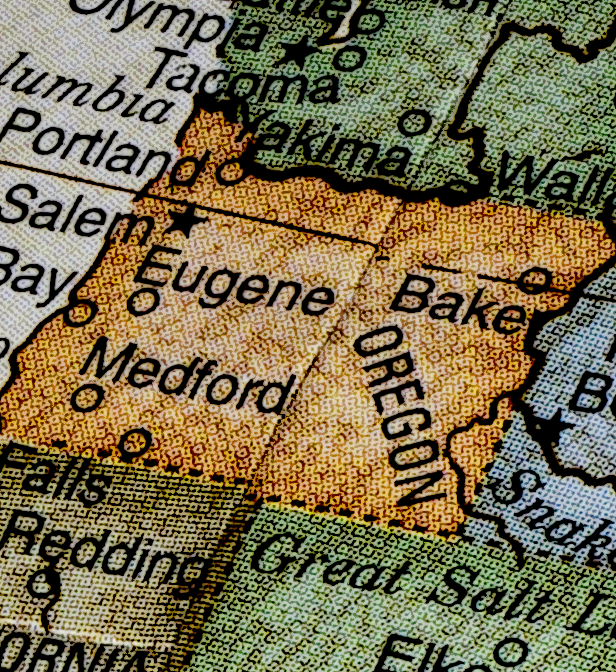 Considered in this light, sanctuary policies are ill-considered virtue-signaling at the expense of both citizens and aliens throughout Oregon's communities. Now, on the cusp of the vote, another heinous crime has occurred in Oregon, and can once again be laid at the doorstep of official myopia because of sanctuary policies. On November 2, Martin Gallo-Gallardo was charged with murdering his wife. He had previously been arrested for domestic violence against her by Multnomah County sheriff's deputies, and ICE agents dutifully filed a detainer, which was routinely ignored and Gallo-Gallardo released, only to escalate his violence to the point of murder. ICE, which is all too often reticent to speak up in such matters, pointed the finger of blame squarely at the Multnomah Sheriff's Department for having had the opportunity to short circuit the murder, if they had only honored the detainer. "ICE is putting our community at risk with their failed enforcement strategy of ... not using the authority they already have to hold people accountable," said the sheriff's press release. "No Oregon jail can hold someone on a civil detainer based on federal court case Miranda Oliveras v. Clackamas County. The U.S. Attorney's Office knows this, ICE know this, but they persist in pursuing this failed strategy. Federal officials had ample time to do their job. They had his name, address, and telephone number." How pleasing that ICE showed the sheriff to be a liar by providing a copy of the filed detainer to media representatives. I hope that Multnomah County voters will remember this at their next sheriff's election. (a) Arrest, detention, and release On a warrant issued by the Attorney General, an alien may be arrested and detained pending a decision on whether the alien is to be removed from the United States. If Reese or his legal staff are too lazy to look this up, shame on them. But more likely, they knew and preferred to "bend" the truth to try to come out blameless when the moral finger of responsibility points clearly to the sheriff's office. As to that "court case" — irony of ironies, the decision was rendered by a U.S. magistrate, not a federal district court judge, and therefore it was rendered by a person who was not him/herself a member of the federal judiciary as laid out in Article III of the Constitution. Magistrates themselves exist solely as a statutory creation of Congress —the same Congress that has provided for arrest of aliens using civil processes such as I have described. Let us hope that reason prevails among Oregon's voters and that the sanctuary law is stricken from the books.